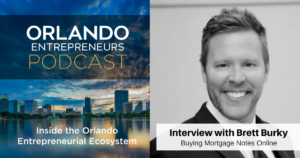 Brett Burky is part of the team at Paperstac.com – Paperstac is an online marketplace for home loans in the $260 billion non-performing mortgage space. Brett has been in the marketing industry running traffic for over a decade. To learn more about Brett find him on Linkedin. I drive the ROI and growth for paperstac using cutting-edge marketing and growth hacking tactics. I manage and handle traffic generation and customer retention through paid media, social media, SEO, marketing automation, CRM systems to conferences to cold emails and cold calls. Basically, if there is a traction channel, bet we’re testing it out.